There you go. I decided to hold off on some of your requests for specific numbers or drills. Since the closer will take more attention, I wanted the opener to be as easy to teach and learn as possible. I will be working on the music in the next few days and if you requested that I email it to you, it will be on it’s way very soon. Don’t hesitate to tell other alumni types and encourage them to join us this year. I will tell you that as of this writing I have only 20 people who have responded. I’m not sure we want to do it if we don’t get more marchers confirming that they will be there. 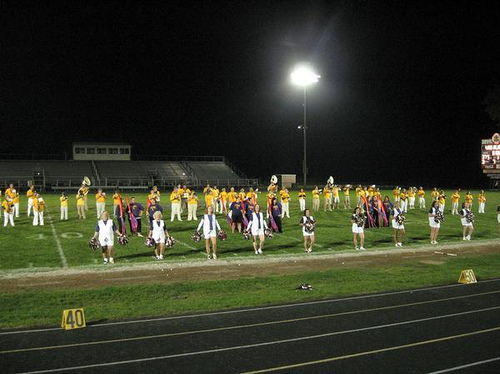 At this point it looks like we’d have more majorettes and flags that we would instrumentalists.